On a recent trip to South Korea I had the great pleasure of skiing at Muju Deogyusan. I've skied some of the other South Korean resorts but this one is my favorite. A bit crowded yes but so are all the resorts here. Good runs and nice scenery. Looking forward to my next visit. Says Alex. acres of terrain running out of skiable area won’t happen. All the 19 trails here are good to ski on. The 2,522 feet of vertical drop is nice. 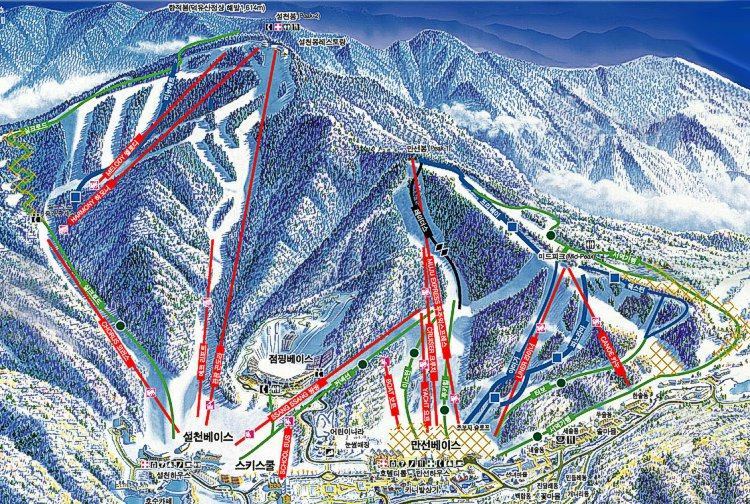 Muju Deogyusan is a big ski mountain having a relatively sky-scraping drop when compared to other East Asia ski areas. ski slopes. Nothing outshines the South Korea highlands in wintertime; they are a good location for skiing and snowboarding. Winter in the mountains of South Korea and first-rate runs are in themselves reason enough to come here to ski.